The Honshu wolf of Japan was the smallest of all wolves, measuring about three feet in length. It inhabited the mountainous areas of the islands of Honshu, Kyushu, and Shikoku. Unlike the perception of wolves in the west, most Japanese villagers of the wolves’ territory did not see them as problem but as protectors. Stories abounded of the wolves protecting night travelers, the young and the helpless. Many farmers saw the wolf as their ally in that the wolves hunted boars, rabbits, and deer that could damage the farmer’s crops. There were cases of villagers hunting wolves they believed to had taken livestock, but the hunters risked great misfortune from the retribution of the wolf’s spirit. The beginning of the end for the Honshu wolf was in the mid 18th century when rabies was introduced in Japan. The spread of the disease killed the majority of the wolves and deforestation and changes in agricultural practices reduced their habitat drastically. 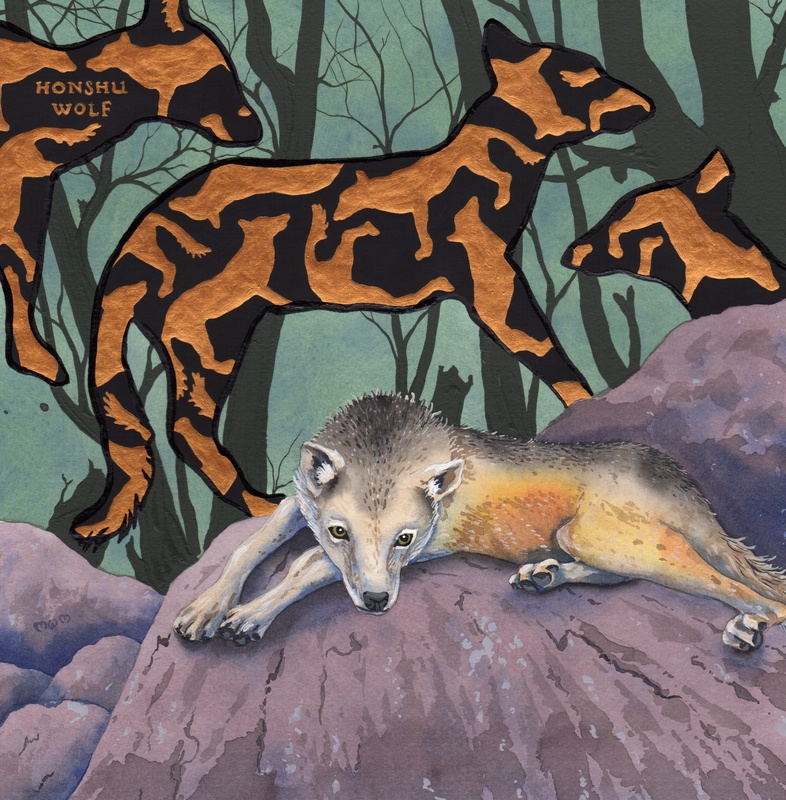 The last known Honshu wolf was killed in 1905. Since then reports of sightings of the wolf have been continual up to the 21st century as is the case with many extinct species. But extensive searches and experiments to locate the wolf have all failed and experts are skeptical of any survivors. There has been talk of reintroducing wolves of other subspecies to the mountains of Japan but no action has been taken to do so.